That hasn’t quite happened, but the relationship between supermarkets and informal township businesses is, nonetheless, far from ideal. 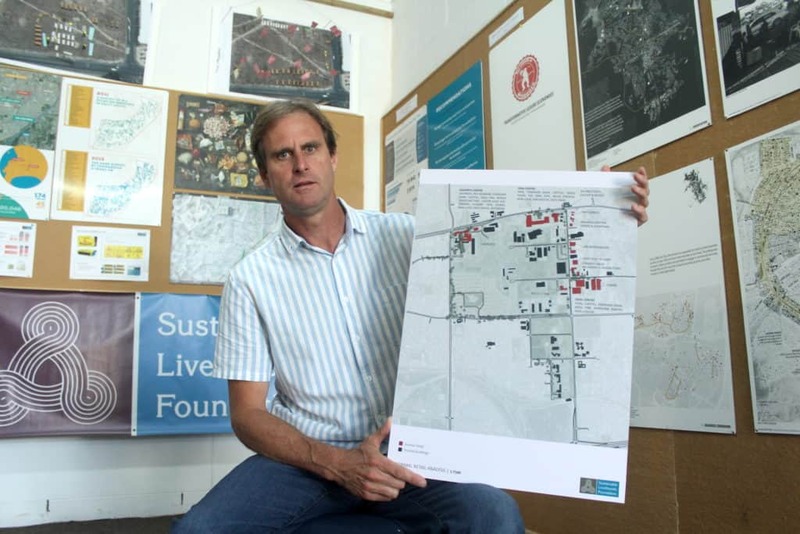 This according to a recent study conducted in Philippi, Cape Town, by the Sustainable Livelihoods Foundation (SLF) with funding from the Centre of Excellence in Food Security. The focus of the SLF study was on a former industrial area in Philippi East. At the time of the fieldwork in 2017 and 2018, researchers here identified – using what they call a “social spatial methodology” – three major shopping malls (with another under development at the time), each with its own large supermarket; four grocery wholesalers, and 109 street traders selling food items, and many spaza shops in the nearby residential area. The informal traders would typically run their businesses from empty spots along the roads or on the sidewalks. In keeping with experiences elsewhere, the study found that the malls had a commanding presence in the area, explains SLF co-director, Andrew Charman, who led the study alongside Sophie Bacq of Northeastern University in Massachusetts, US; and SLF researcher Kayla Brown. The concentration of formal retailers within the confines of the precinct area does not seem to be having a positive impact on opportunities for small-sized informal businesses. The scale of participation in the informal economy is very low. But that’s not quite the full story, notably around food sales and consumption. Instead, the study found what it calls “a complex and interconnected relationship” between formal food retailers and the informal food traders. On the one hand, street traders benefit from the foot traffic that the malls attract, and some even purchase their stock from the formal businesses. On the other hand, the shopping malls deliberately exclude informal traders from participating in the retail opportunity, with the traders having to occupy sites “on the margins of these developments in conditions that are not ideal for conducting business”, says Charman. Supermarkets attract more customers than the informal traders because of their competitive pricing advantage, i.e. they are cheaper. But while residents from the surrounding areas – some better off than others – would still spend a sizeable amount of their food budgets (around 60% of it) at the supermarkets, they haven’t quite abandoned either the informal traders or their neighbourhood spaza shops. “The street food traders, we found, operated within particular niches and were serving their particular clients with culturally specific food types,” explains Charman. Meaning that the informal businesses trading in braaied pork and chicken, for instance, were still popular stops for consumers. “People kept saying that they had a ‘craving’ for braaied meats,” Charman notes. Likewise, the convenience of spaza shops allowed them to continue thriving. Their appeal lay in their late operating hours, and that a number of them sold alcohol and illegal but cheaper cigarette brands. “There is a strong rationale among consumers for support spaza shops,” notes Charman. Despite the range of options available to them, consumers in the area weren’t always getting the most for their rands, though. A comparison of the popular food hampers that supermarkets and spaza shops sell, suggested (one) that consumers were brand loyal (supermarket A over supermarket B and C, for instance) but were often not getting or buying the best deals. Part of the reason, says Charman, is that although the hampers contain similar items, supermarkets cleverly assemble their hampers with different product brands, which make comparisons difficult for not just consumers, but also the researchers. But the study nonetheless showed that consumers weren’t always buying the cheapest hampers. “As a result, people are making decisions based on their perception of value rather than their knowledge of food value,” says Charman. The study has also identified opportunities for city planners to step in. 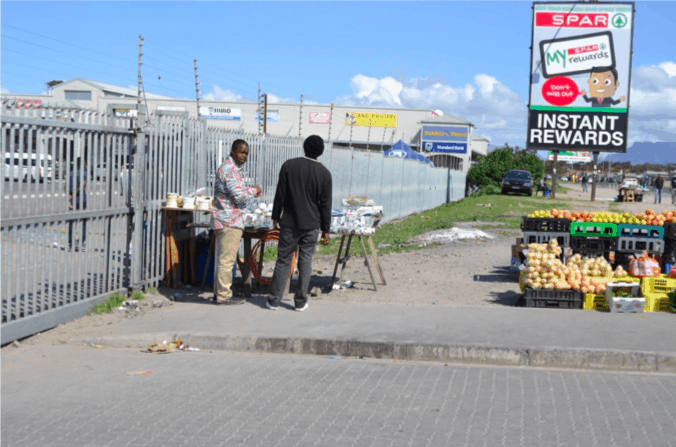 For one, supermarkets and malls are designed in ways – fencing, poor lighting beyond the reach of the malls – that restrict business for informal traders, in so doing perhaps denying them sustainable incomes. “If those malls had been designed in ways that were more inclusive of informal businesses, we might find a greater number of informal businesses participating in the retail economy,” says Charman.